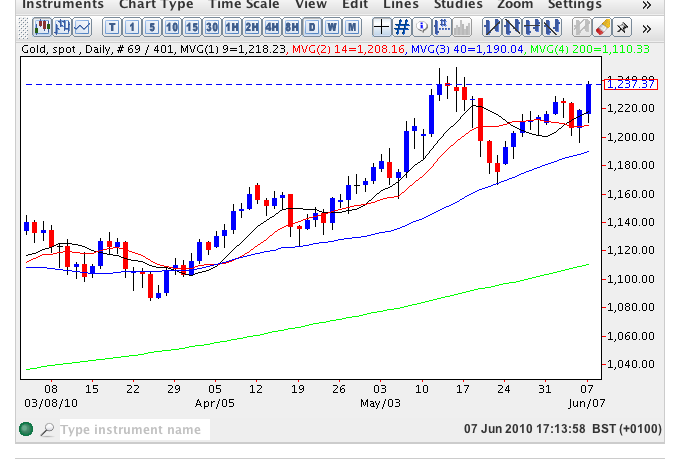 Despite taking a breather from the recent rally, spot gold prices continue to remain firmly bullish with Thursday’s wide spread down candle which found support at the 14 day movine average, promptly being reversed by Friday’s up candle. Spot gold is now, once again, trading above all four moving averages with the 9 day crossing above the 14 day indicating a bullish tone to the market. For the longer term we need to see a break and hold above the recent highs of $1249.17 and once this is achieved then expect to see gold prices continue on their upwards path as a result. Will silver outperform gold as precious metal becomes more expensive?